We have never seen so many and so big new cruise ships in just one year! 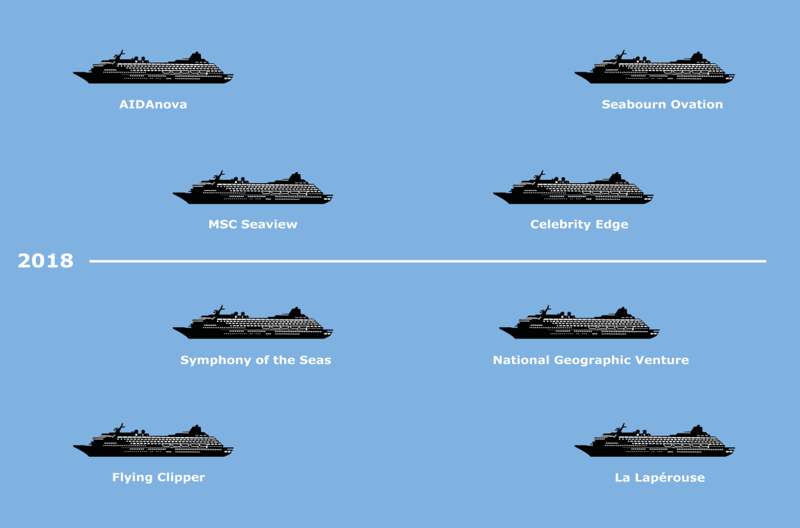 8 out of these 14 new ships have carpet solutions from Dansk Wilton on board. This makes us proud. We congratulate our customers on their new ships.